thanks for providing such a great themes at free costs…. Nice colors pickup, it looks effective. I hope to see more themes like this one. Darkforest is very attractive.Good design. 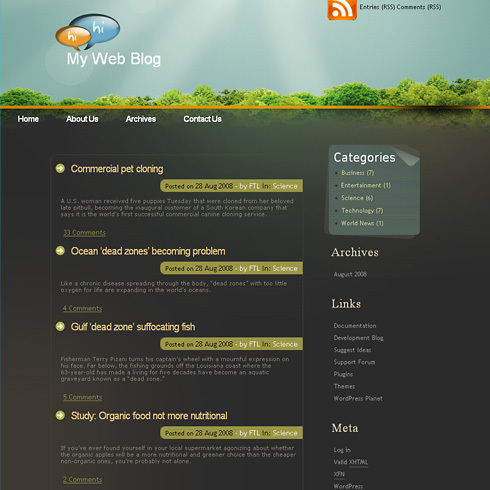 what a great theme on wordpress…full of nature!!! Extremely Cool! Thank you very much!! Not bad! I tend to like nature nature kind of themes! More please! Really sharp theme and would work great for any niche but especially travel would be ideal. thank you!